Do you have photos, historical accounts or other items pertaining to the Pine Island area? Would you like to share this historical information with the world? 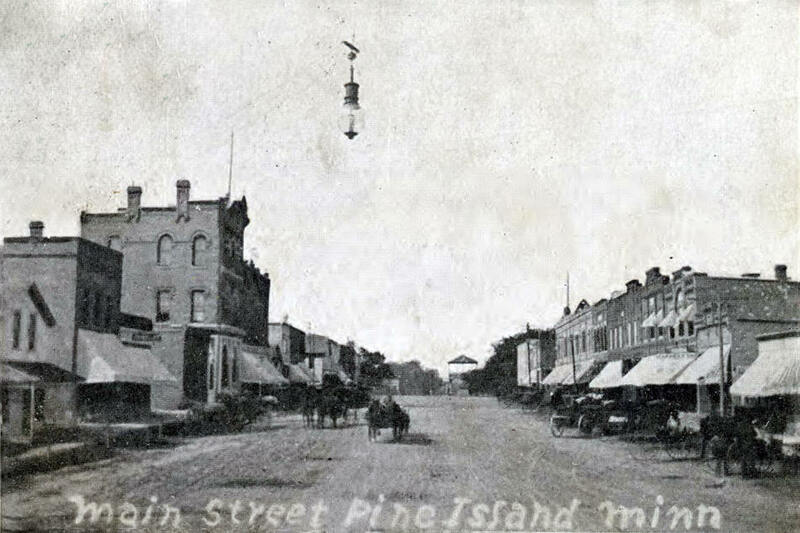 LakesnWoods.com would like to publish your Pine Island photos (current or historical) or historical accounts on this website. Original materials can be returned and your privacy will be respected. 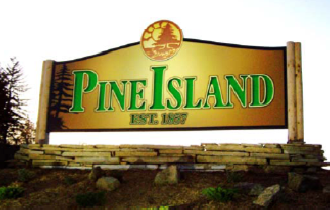 Pine Island is a city in Goodhue and Olmsted counties in the U.S. state of Minnesota. 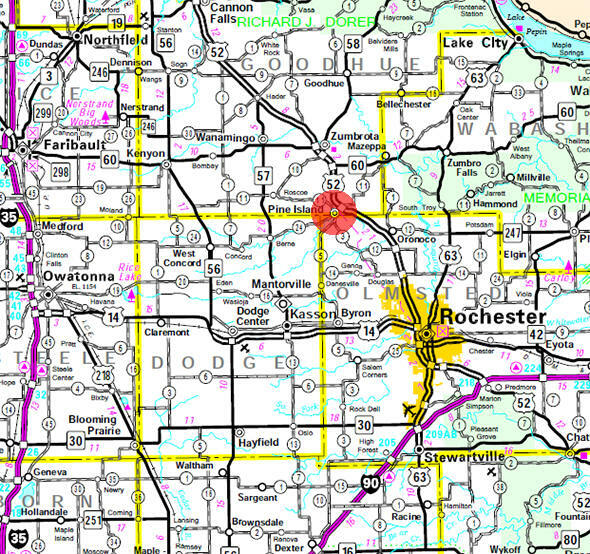 Most of Pine Island is in Goodhue County, but a small part extends into Olmsted County. Pine Island lies along the Middle Fork of the Zumbro River. U.S. Route 52 serves as a main route in the community. According to the United States Census Bureau, the city has a total area of 5.61 square miles (14.53 km2), of which 5.59 square miles (14.48 km2) is land and 0.02 square miles (0.05 km2) is water. The elevation is 1,004 ft (306 m) above sea level. As of the census of 2010, there were 3,263 people, 1,292 households, and 873 families residing in the city. The population density was 583.7 inhabitants per square mile (225.4/km2). There were 1,399 housing units at an average density of 250.3 per square mile (96.6/km2). The racial makeup of the city was 96.6% White, 0.9% African American, 0.1% Native American, 0.8% Asian, 0.1% Pacific Islander, 0.1% from other races, and 1.3% from two or more races. Hispanic or Latino of any race were 1.7% of the population. There were 1,292 households of which 36.1% had children under the age of 18 living with them, 53.3% were married couples living together, 10.5% had a female householder with no husband present, 3.8% had a male householder with no wife present, and 32.4% were non-families. 26.9% of all households were made up of individuals and 10.7% had someone living alone who was 65 years of age or older. The average household size was 2.47 and the average family size was 3.02. The median age in the city was 35.2 years. 27.4% of residents were under the age of 18; 6.8% were between the ages of 18 and 24; 26.9% were from 25 to 44; 25.3% were from 45 to 64; and 13.5% were 65 years of age or older. The gender makeup of the city was 48.4% male and 51.6% female. PINE ISLAND, settled in 1854, organized in 1858, took the name of its village, which was platted in the winter of 1856-57. 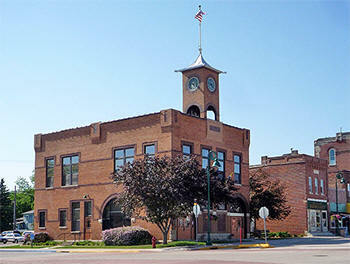 The city with Olmsted County is located principally in Pine Island Township; it was incorporated as a village on March 6, 1878, and reincorporated on February 28, 1918. 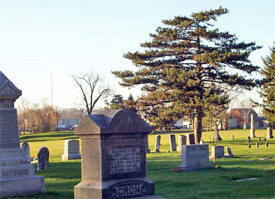 It was named in 1855 by Moses Jewell, an early settler, for the solitary large white pine on a small island. The major industry was cheese making, and it had a station of the Chicago Great Western Railroad; its post office began in 1856. 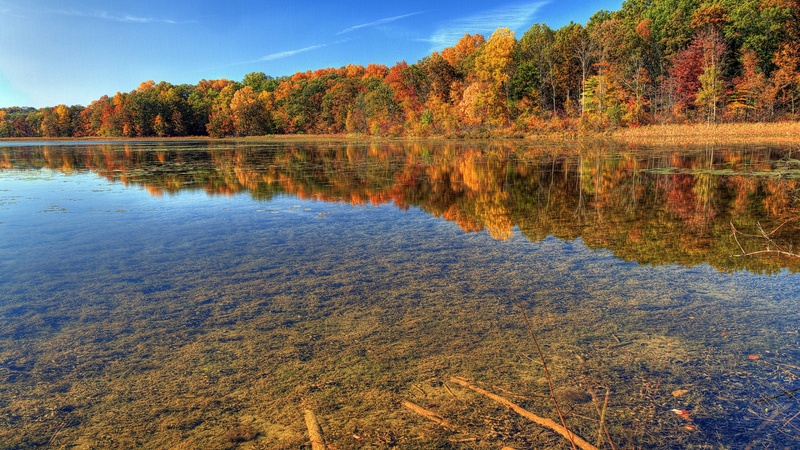 "The island proper is formed by the middle branch of the Zumbro, which circles around the present village, enclosing a tract once thickly studded with tall pine trees. . . . This spot was one of the favorite resorts of the Dakota Indians. They called it Wa-zee-wee-ta, Pine Island, and here in their skin tents they used to pass the cold winter months, sheltered from the winds and storms by the thick branches of lofty pines. The chief of Red Wing's village told the commissioners of the United States, when asked to sign the treaty that would require his people to relinquish their home on the Mississippi River, that he was willing to sign it if he could have his future home at Pine Island" (Hancock, p. 288). "Between the two branches of the Zumbro River, which unite a short distance below, there was quite a forest of pine, which could be seen for a long distance over the prairie, giving it quite the appearance of an Island in the sea" (Mitchell, p. 118). The festival is free for the whole family and includes an Arts and Crafts Show, food booths, carnival, a tractor pull, and on Sunday the festival Parade. Today, the course is 18 holes built on 140 acres. Fairways are wide with multiple tees on every hole, greens are huge and there are the tree, water, sand and rock hazards. The course is challenging for both the advanced, the beginner, the young and the old. 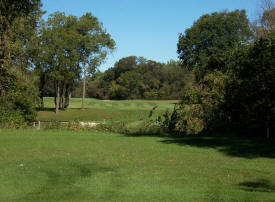 The bottom line, Pine Island Golf Course is a very exciting, scenic and challenging 6603 yard 18 hole layout playing from the championship tees. There is also a full driving range and putting practice facilities. Douglas Trail is a 13 mile, multiple use state trail developed on the abandoned Chicago Northwestern Railroad grade. It provides two separate treadways, each of which is designed for different recreational activities. This trail offers outstanding rural scenery traversing some of the richest agricultural land in Minnesota. One treadway is surfaced with bituminous pavement for bicyclists, hikers, and snowmobilers; the other for horseback riders and cross-country skiers. The completed trail begins at Pine Island City Park, travels through the town of Douglas (for which the Trail is named), and terminates in Northwest Rochester. Trail access from Pine Island includes parking and restrooms facilities. Nestled into a shaded curve of the Zumbro River, Hidden Meadows is a privately owned RV park located in Southeastern Minnesota. We are surrounded by 30 acres of beautiful and restful countryside, yet we are conveniently located just a 1/4 of a mile off Hwy. 52 with easy access to the Mayo Clinic. Hidden Meadows RV Park is a family oriented campground with activities for everyone from young children to older adults. 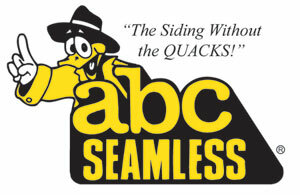 ABC Seamless steel siding is taking the home remodeling industry to a new level. Our siding is different from the others, because it’s SEAMLESS. Other sidings must be constantly overlapped every 12 feet to reach the length of your home, creating a pattern of UGLY splices. American Waterworks is one of the largest and oldest basement waterproofing contractor serving Southern Minnesota, Northern Iowa and Western Wisconsin. Established in 1979, Bob's Small Engine Repair has been a Polaris dealer for over 20 years. Bob has been repairing, riding, and racing sleds for over 30 years. Bob is MSD certified and has two trained mechanics. We have a large parts inventory as well as most accessories for both sleds and ATVs. We do crankshaft repair, shock rebuilds, starter repair, and stock or custom clutch work on site. We also have a complete line of lawn and garden equipment, chainsaws, and gas powered trimmers and brushcutters. 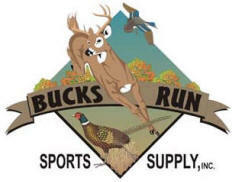 Here at Bucks Run Sports Supply, we are a mail order company who carries everything you will need to reload shotgun shells. We carry a very large stock of many brand name products. You will find that we have the lowest prices around for your reloading needs. Since we do not buy products as we need them, but rather buy in very large bulk, we can offer our customers such low prices. We are here to help, Before - During & After the sale ! Captain Spider Web Designs, your affordable solution to a web presence. Captain Spider can put you on the Web at a price that won't take a bite out of your budget. We specialize in small businesses, if you are not on the web, don't get left behind! Marjorie (Margie) Durhman and Amanda Durhman co-own Design Partners (DP), and have more than 35 years of combined professional experience in graphic design and photography. DP's mission is to assist their clients in meeting their objectives by creating effective high quality visuals, taking into account each client’s style, audience and needs. DP’s clients include small and large organizations consisting of for-profit companies and non-profit entities. 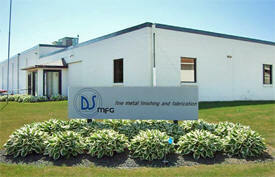 DS Manufacturing is your source for fine metal fabrication and finishing. At DS Manufacturing we specialize in tube and metal fabrication, including all types of materials. DS Manufacturing's tube and metal fabrication capabilities including bending, swaging, piercing, drilling, machining, slotting, notching, expanding, welding, polishing, and chrome plating. The Biobusiness Park at Elk Run is a 200-acre business park offering the flexible space, state-of-the-art infrastructure, and aggressive incentives today’s biotechnology companies demand. Designed to accommodate the needs of a broad spectrum of companies—from start-ups to industry leaders looking to expand or relocate. Designed to support early-stage development, clinical development, and commercial manufacturing in one location, with tech/showcase, warehouse, and distribution space also available. Looking for an easy-to-use glue-on adhesive that truly goes the distance, from shoeing to major repair? Only Equilox is strong enough to stand up to everyday wear and tear, yet remain flexible for easy filing and shaping — even nailing — to handle all your repair jobs, from patching quarter cracks, to major hoof wall reconstruction. 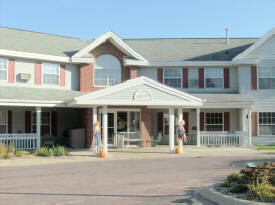 Evergreen Place is a charming Senior Living Community, which provides an affordable, unique alternative to a nursing home. Evergreen Place offers a quaint small-town atmosphere with the benefit of being within 15 minutes from Rochester, home of Mayo Clinic. At Evergreen Place Senior Campus, we are committed to helping our clients meet their individual needs in their own assisted or independent living apartment. Fangman Land Surveying has provided professional land surveying services in southeast Minnesota since 1981. Professional Land Surveyor, Vincent A. Fangman, has worked in the field of Land Surveying and Land Consulting since 1970. Mr. Fangman was licensed to practice land surveying by the Minnesota Board of Architecture, Engineering, Land Surveying, Landscape Architecture, Geoscience, and Interior Design (AELSLAGID) in 1981. Mr. Fangman is an active member of the Minnesota Society of Professional Surveyors (MSPS), having served on its board as a director (2 years) and secretary (2 years). 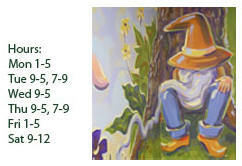 4 Seasons Home Improvement, Inc. features Quality Materials and Superior Workmanship. We do everything from the attic to the basement including complete interior/exterior remodeling. We have learned that lifes real joy and success come not in gratifying oneself, but in helping others. We go the extra mile! Its A Dogs Life Country Kennels was newly constructed in August of 2007. We have air conditioning in the summer and heated floors in the winter. We also have an air exchanger. The kennels are cleaned daily We have separate kennels for dogs under 20 pounds. Family Owned and Operated. 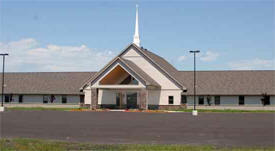 191 County Road 11 Blvd. 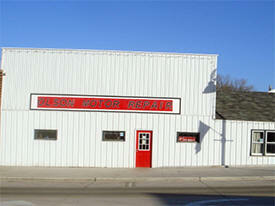 Olson Motor Repair LLC is a family owned business that has been around since 1981. 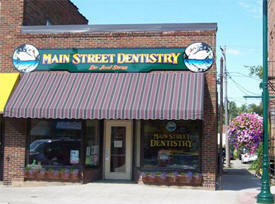 We are nestled in between an old fashioned antique shop and the Zumbro River in Pine Island, Minnesota. We sell, repair and rewind electric motors and also repair many agricultural and commercial power tools and equipment. 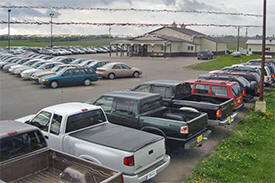 Along with these services, we also have an extensive line of farming and commercial resale goods. Last but not least, we offer on the job service calls to any residence that needs our services. Pine Island Area Home Services, A Living at Home Block Nurse Program sm, is dedicated to providing unbiased volunteer and professional services to promote home-based living for the elder citizens of the Pine Island and Oronoco areas. The Pine Island Volunteer Fire Department is a not for profit organization providing contract public safety services to the city of Pine Island and the five surrounding townships of New Haven, Oronoco, Pine Island, Milton and Roscoe. 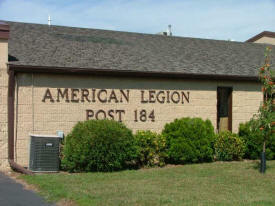 Its mission is the protection and preservation of life and property for the people it serves. It is committed to doing so through the provision of quality, cost effective services in the areas of fire suppression, emergency medical services, auto extrication, ice/water rescue, hazardous materials response and any multitude of manmade or natural disasters. Greetings and Welcome to the Pine Island Sports Bar and Liquor Store where you will find the very best in Drink Specials, Live Music, Sports Entertainment, Pool, and Off Sale Liquor in Pine Island, Minnesota. 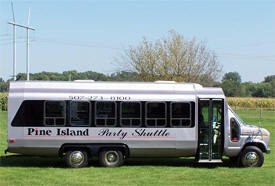 We provide affordable Limo type Bus transportation for Weddings, Bachelor, Bachelorette or any group event. The bus interior is custom built, featuring bench style seating around the perimeter and built in cup holders. Also provided is stereo, CD player, 26" LCD T.V. with surround sound. Room to hold parties of 20-25 people. 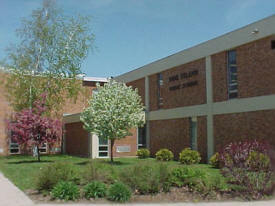 111 County Road 1 Blvd. The obsession has taken over! I love it and you will too! The shop is stocked with over 1000 yards of gorgeous hand-dyed and as-is wool. There is a huge variety of wonderful textures. You will also find, patterns, hooks, books, backing and other handy items for hooking, punch needle, penny rugs, proddy and needle felting. DC Power Systems, AEE Solar, SunWize Tech, SolarSkies, Alternative Energy Technologies, Energy Labs, Bergey Wind Power, Talco Electronics (Proven Wind Turbines), Aqus Water Saver Technologies, Solene Hot Water Systems, and Solar Panels Plus. 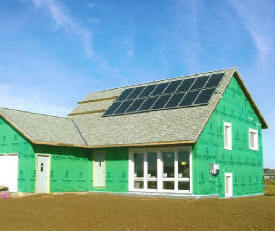 We do solar site assessments, design and installation.Electrical connections are done by licensed electrical contractors. Roof installations are done by licensed contractor. 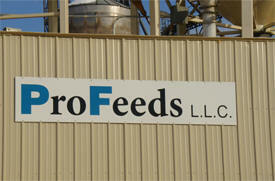 Pro Feeds is a joint venture owned by Greenway Coop of Rochester, Minn. and Farm Country Coop of Pine Island, Minn. Pro Feeds, LLC has been operating as the feed division between the two long-standing cooperatives since March 2008 with locations in Pine Island, Kasson and Plainview. Our feed mill manufactures approximately 320 tons per day serving customers in Dodge, Fillmore, Goodhue, Mower, Olmsted, Wabasha and Winona counties. Our products include a wide variety of livestock and lifestyle feeds; contact a sales representative and let Pro Feeds help you meet your feed supply needs. Since 1970, PTM has been involved in contract manufacturing. This has given PTM the experience necessary to eliminate the worry associated with subcontracting. We will be an extension of your company. Your tool room, prototype shop, engineering department, sheet metal department, machine shop, and plastics department (including injection molding and vacuum forming). 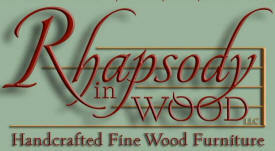 We design and manufacture our own line of artistic rubber stamps. TrueFocus, Inc provides training in Fibre Channel, SAS, SATA and consulting in Computer Storage. 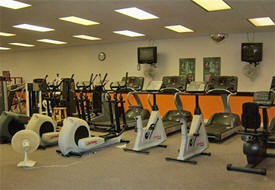 Our mission is to see that all communities, regardless of size, have a quality fitness facility at an affordable price.